#SonalliGuptaa launched her book ‘Of Love...Life and Everything in Between’ in association with Shanya Kapur’s collection by Kay Pee Jewellers, Pune. The who’s who of glamour world from B’Town celebrities to influential socialites gathered to celebrate this association. 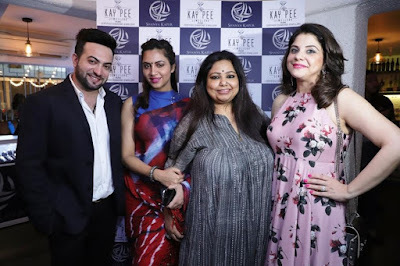 ‘Bigg Boss’ star Arshi Khan, actor Vipul Gupta, Rubaru Mr. International India 2017 Darasingh Khurana, designer Archana Kochchar, designer Nikhat Mariyum Neerushaa, Mrs. Sulaiman Merchant, producer Preeti Thakker, ‘Ek Aastha Aisi Bhi’ actresses Tina Phillip and Sharanpreet Kaur, ‘Humari Bahu Rajnikant’ actor Pankit Thakker, Mrs Asia Universe Pinky Rajgharia, celebrity make up artist Gurpeeet Ghura and many more.